Thanks to Mary, our local coordinator in the Cork area, for taking the time to share some Irish Easter traditions with us! If you would like to come to Ireland on an exchange then you can read more about our programmes in Ireland here! Well apart from Christmas Day and St. Patrick’s Day, Easter is the most important Religious holiday in Ireland. All schools close for the Easter term for 2 weeks, the week before and the week after Easter weekend. As Ireland is a mostly predominant Catholic country there are a lot of religious traditions linked to Easter. It starts 40 days preceding Easter Sunday with Ash Wednesday but what the whole country is waiting for is the day before Ash Wednesday! This is called Shrove Tuesday but is more well known in Ireland as ‘Pancake Tuesday’. That is the one day in Ireland where the whole country goes Pancake mad! Pancakes for breakfast, lunch and dinner!!! During Lent a lot of people give up something that they like, eg. children normally give up chocolate – so that means for 40 days they eat no chocolate!! Now, this is really very hard to do if you are anything like me and absolutely love chocolate!! We always seem to find reasons to have cheat days like St. Patrick’s Day! This is always in the middle of Lent and ‘sure you can have chocolate today cause it’s St. Patrick’s Day’ is what you will hear all over the country!!! In Ireland, we have a tradition of giving Chocolate Easter Eggs as gifts at Easter. We have so many different types of Easter Eggs and there is such a great variety to choose from! On Easter Saturday night ‘The Easter Bunny’ comes! Every house has their own Easter Bunny traditions and in my house when my son was young the Easter Bunny would have hidden mini eggs all over the house and he would get up Easter Sunday morning so excited and search the house looking for them! It’s really great fun to go on an Easter egg hunt! There are places in Ireland that arrange outdoor Easter egg hunts on Easter Sunday. I’m from Cork and we have the famous Blarney Castle with the famous Blarney Stone (for any of you who may never have heard of the Blarney Stone – it is said that if you kiss the Blarney Stone you will get the ‘Gift of the Gab’ – in other words, once you kiss the stone you will get the gift (or curse depending on who you are talking too!!) of talking a lot!!!!). Blarney Castle has a great Easter Egg hunt all over their beautiful grounds every year. Hundreds of children come from everywhere with their baskets/bags to hope to find some eggs! It is a great fun-filled, family day out! Check your own local area and online to see where the nearest Easter Egg Hunt to you in on! Or maybe you would like to make a day of it with your friends and visit a different city for their Easter Egg Hunt!! Ash Wednesday (the official start of Lent) and Good Friday (the Friday of Easter weekend) are traditionally fast days. What this traditionally means is that nobody eats meat on these days but are allowed to eat Fish. On Good Friday there is normally no mass held in churches, but instead what is held is known as The Stations of the Cross (or the Passion of our Lord) which commemorates the crucifixion of Jesus. Another big Easter tradition in Ireland is Hot Cross Buns! These are buns with the ‘holy cross’ on them (really nice warm with a bit of butter!!). Well, I hope you all enjoy the experience of an Irish Easter with lots of Easter eggs and Hot Cross Buns!! Have a look around your local area for anywhere doing an Easter Egg Hunt and join in! Or better yet do your own with your friends – believe me you will really enjoy it!! You will be nearing the end of your exchange year and as you have 2 weeks off from school it will be your last chance to get out with your friends and maybe visit that next place on your bucket list!! Get to do something you haven’t yet done but really would like to before you go home, make the most of your free time. 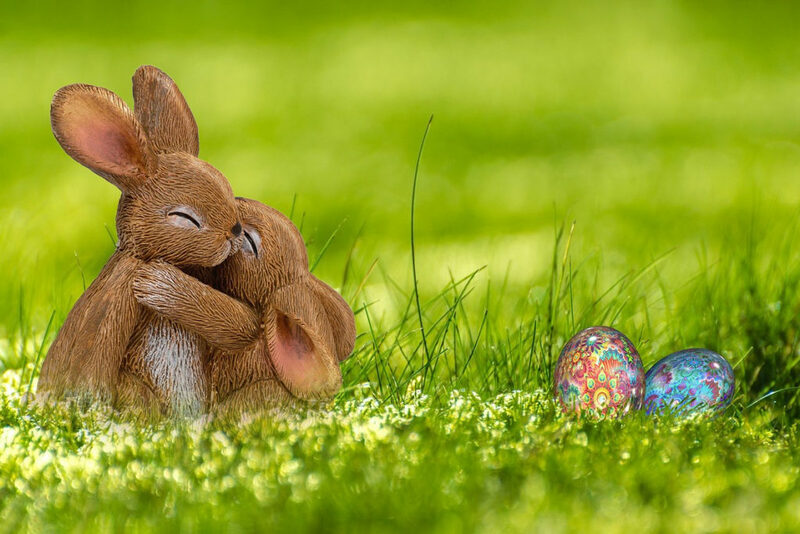 Have a look on the Internet for what is on locally, there are always lots of events happening around Easter in all parts of the country, make sure to check so you don’t miss out on all the fun – have a fantastic Easter everyone! Next: Next post: Snowed in!